Father’s Day is always a good excuse to get out and do something fun as a family. 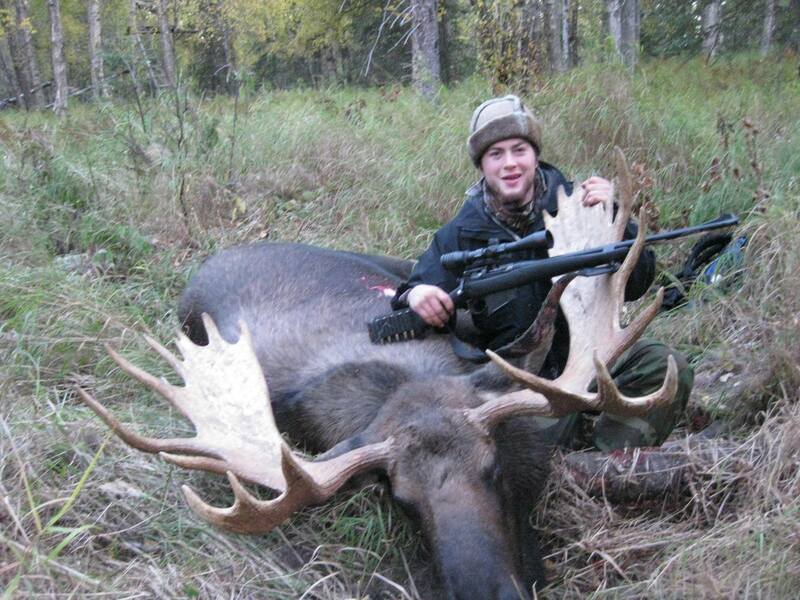 So of course Mission AK’s Kalen Kolberg knew exactly what to do when he heard the Reds were running in the Klutina. 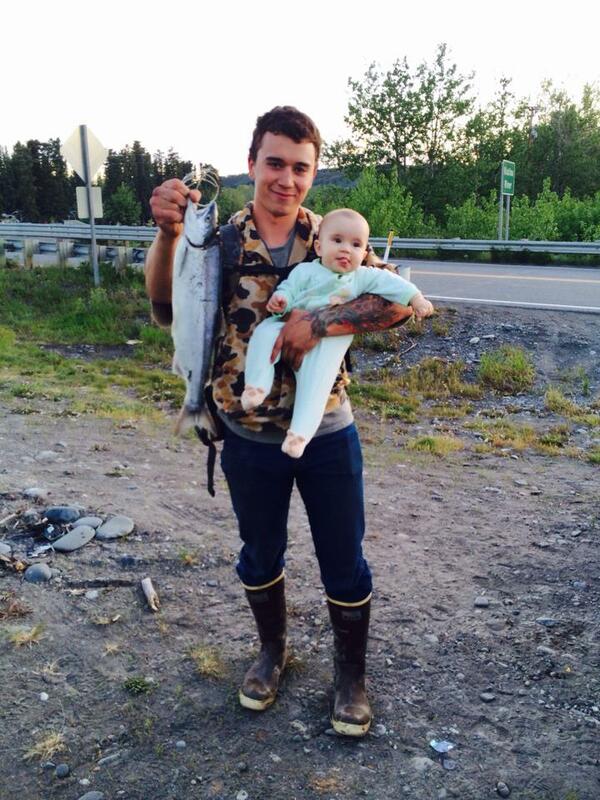 He packed a couple rods, tackle, and a cooler full of ice then hit the road towards Copper Center with his family. 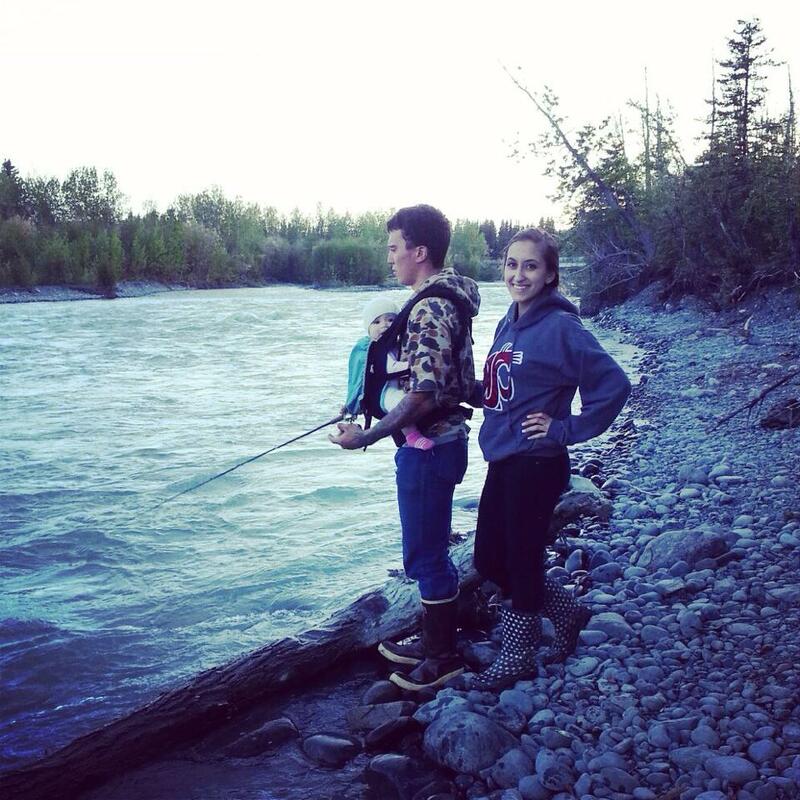 The Klutina offers great fishing opportunities for families. Easy access from the highway and minimal crowds allow you to fish with your family and not have to worry about you or your loved ones getting a surprise piercing. 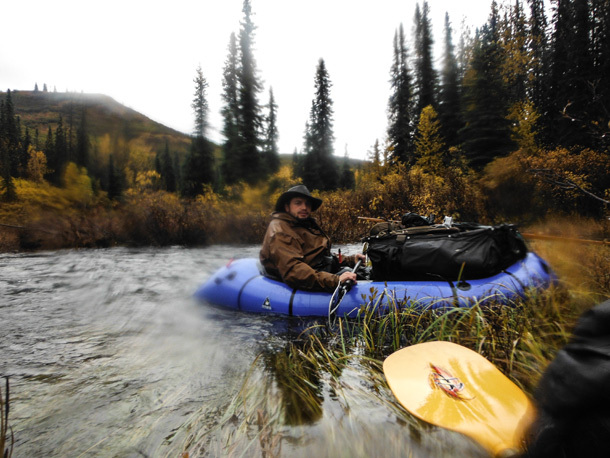 The Klutina is the 7th fastest flowing river in North America so its important to target slack water holes that hold fish and allow a good solid drift. 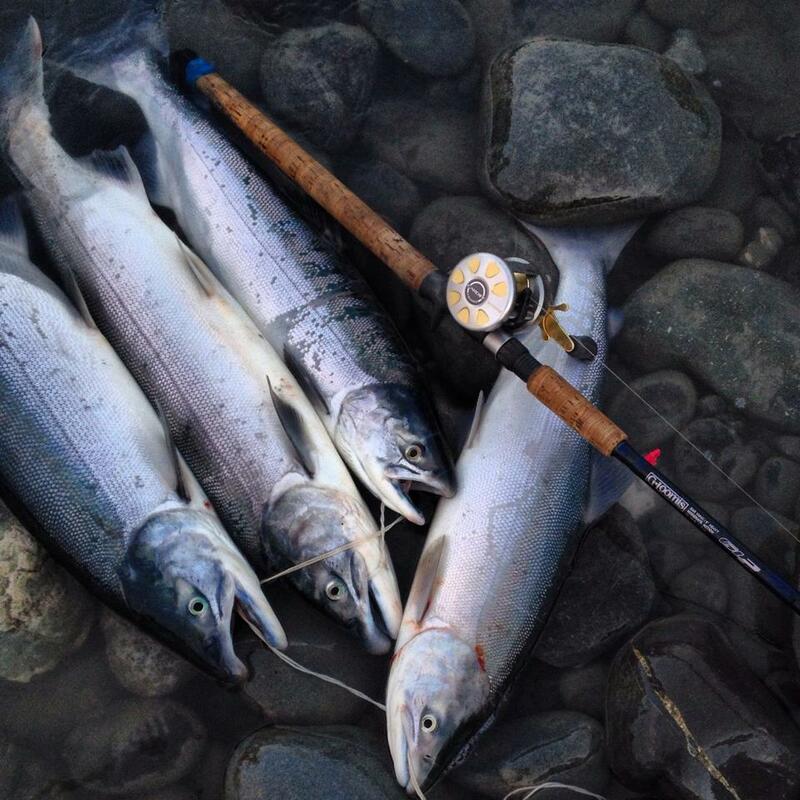 Once we settled on a hole and fished for a few hours we managed to land some beautiful Copper River Sockeye and enjoy some quality family time in the great outdoors of Alaska. After a long successful Father’s Day it was time to head back home and nurse our sunburn and fresh Mosquito bites. The 3.5 hour drive isn’t without it’s perks either. 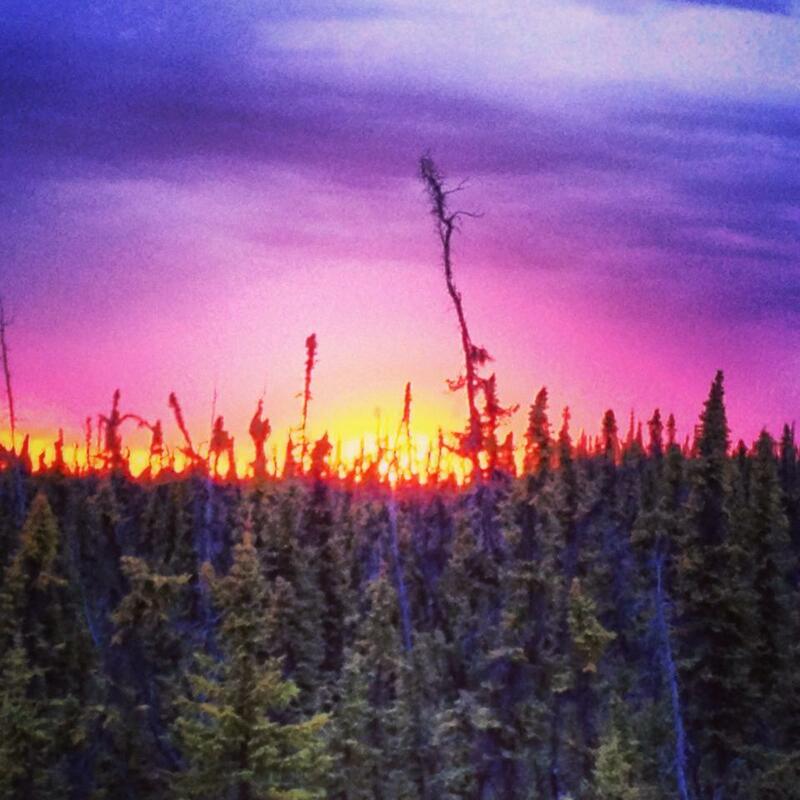 We were lucky enough to catch this gorgeous sunset passing through Lake Louise and managed to snap a quick cell phone pic. The next morning was full of itching and moaning along with the hum of the vacuum sealer. 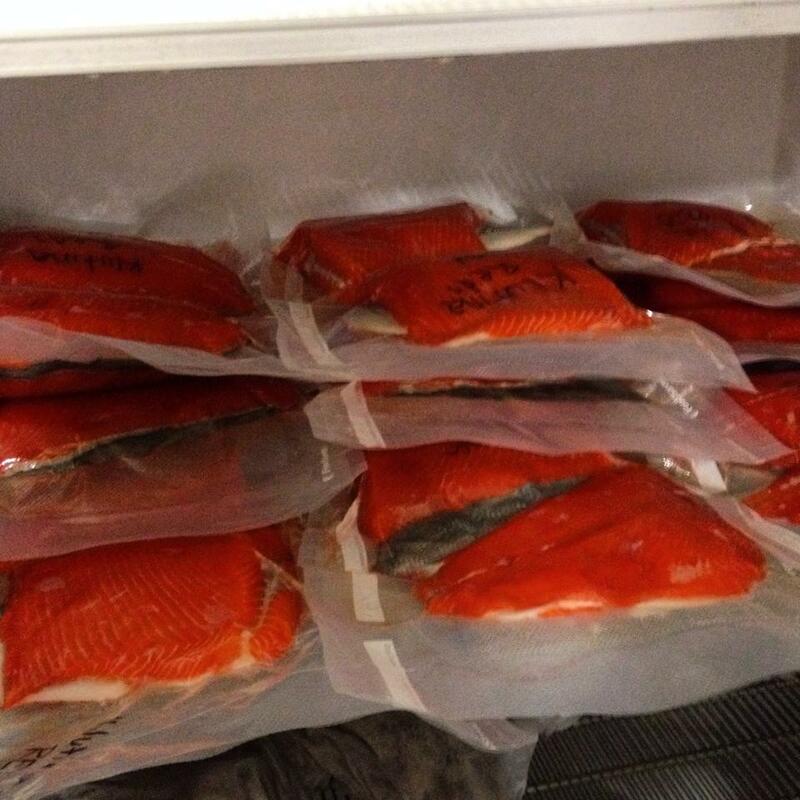 The sight of bright red fillets in the freezer was more than enough to take our minds off our bumpy itchy skin. All in all it was a great Father’s Day filled with lots of laughs, bug bites, fish and fun. 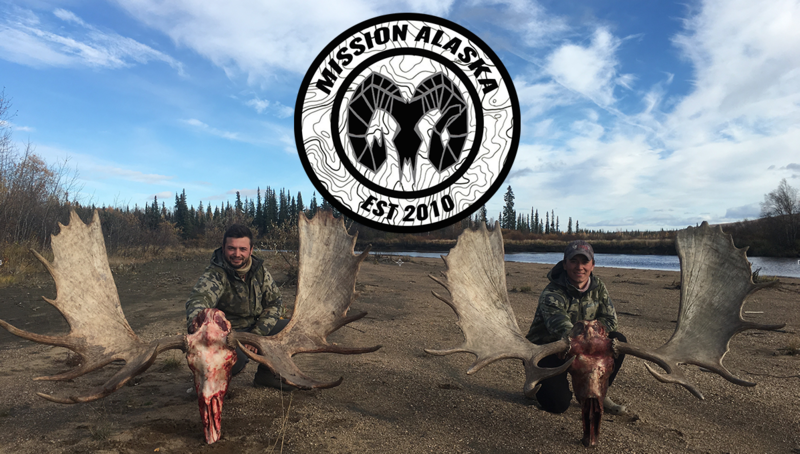 We are always looking for great hunting stories and individuals to contribute to the Mission Alaska inspirational cause. 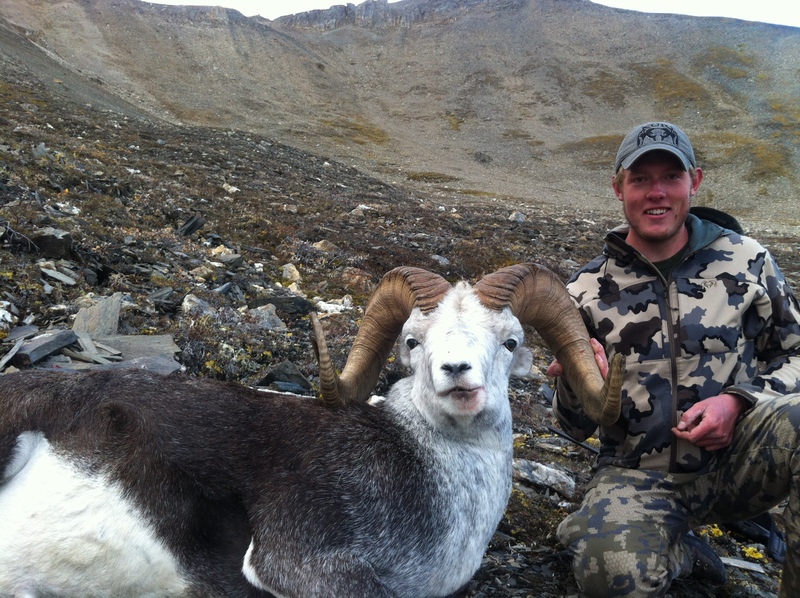 Well Mission Alaskan’s… I have found a story and a person who has inspired me to harvest a stone sheep. 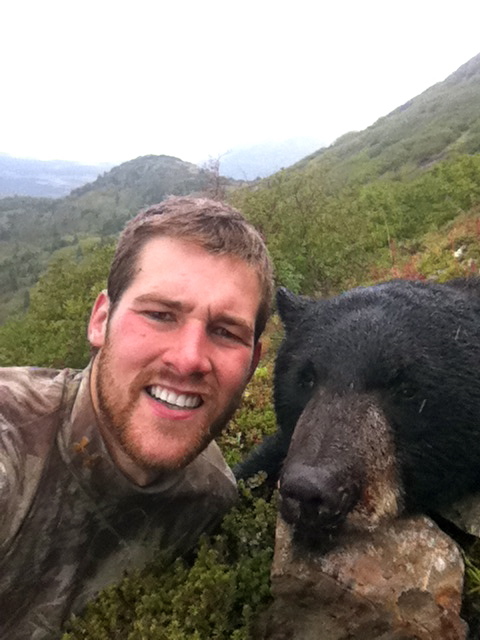 Recently I was at Sean Lingl’s hunting operation on Vancouver Island filming a black bear hunt for 9x UFC champion Matt Hughes, while on this hunt I met some very skilled hunters and had the time of my life. 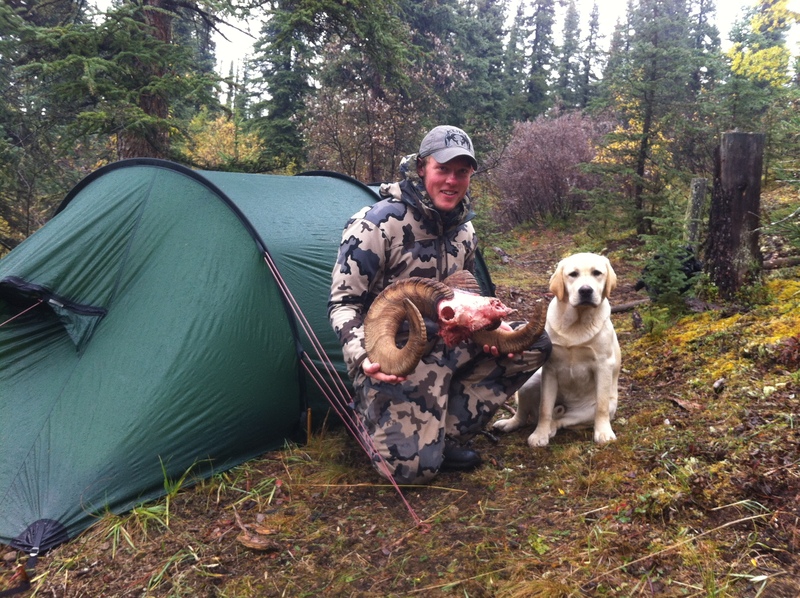 Sean has several guides that work almost year round hunting the gigantic animals that roam this island in British Columbia, these guides I would argue are some of the most talented and professional individuals in the outdoor industry. As for Sean, It was such an honor to be hunting with the Dallas Safari Clubs “Outfitter of the Year” truly a grade A+ experience and just an awesome guy. Not to mention that Sean lead us to a monstrous black bear that stretched the tape and the scales, and made awesome outdoor tv for Uncaged with Matt Hughes on the Sportsman Channel. 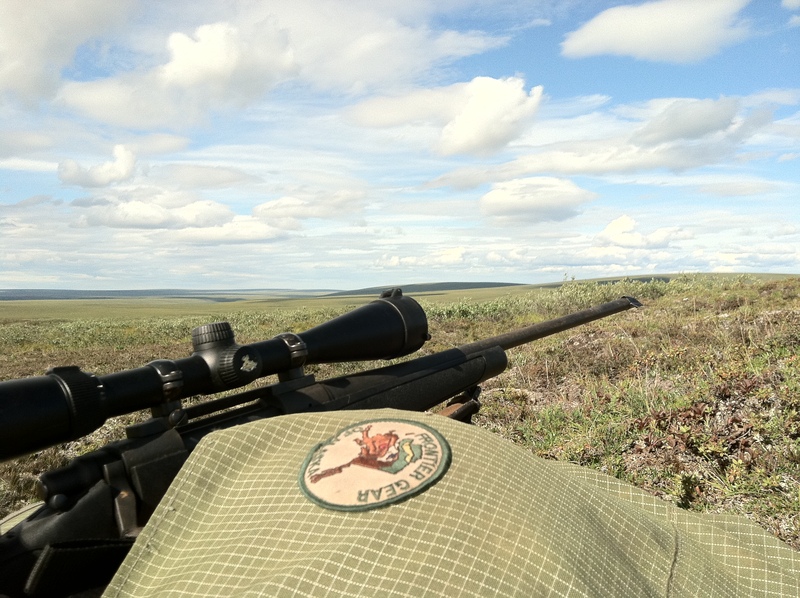 Sean has surrounded himself with an impressive A-team of guides that have some great pictures and stories of successful hunts over the years. 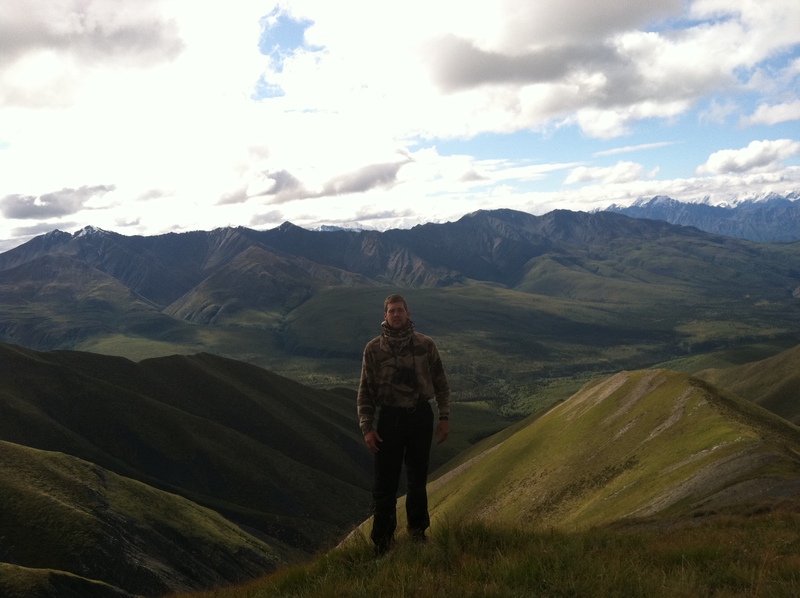 Nathan French, the youngest of the guides has some fantastic hunting stories, some of the stories are with his clients and the others are of his personal adventures. 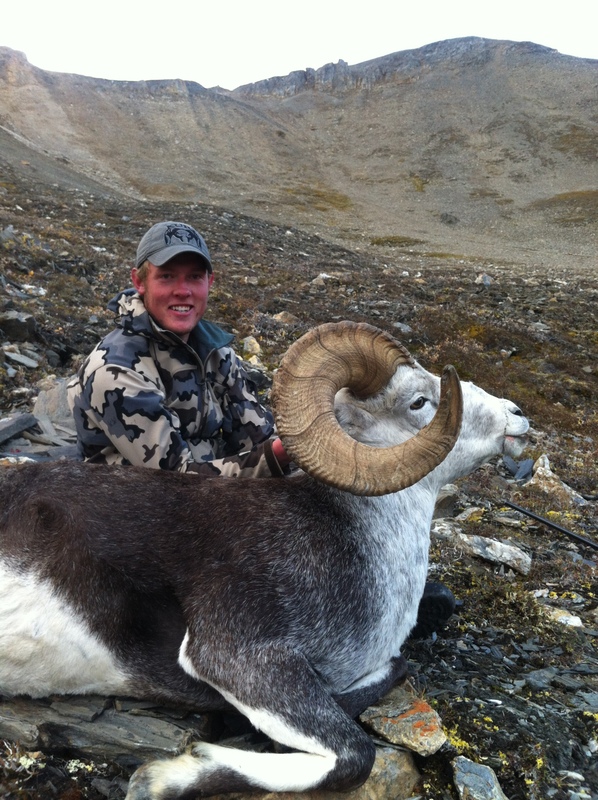 After finishing a great guiding season with Ram Head Outfitter Ltd. It was time to drive out of the bush with my good friend and fellow guide Johnny Nikirk and head for our next hunting adventure. A trip Johnny had planned months previous, and so kindly ask me to join. 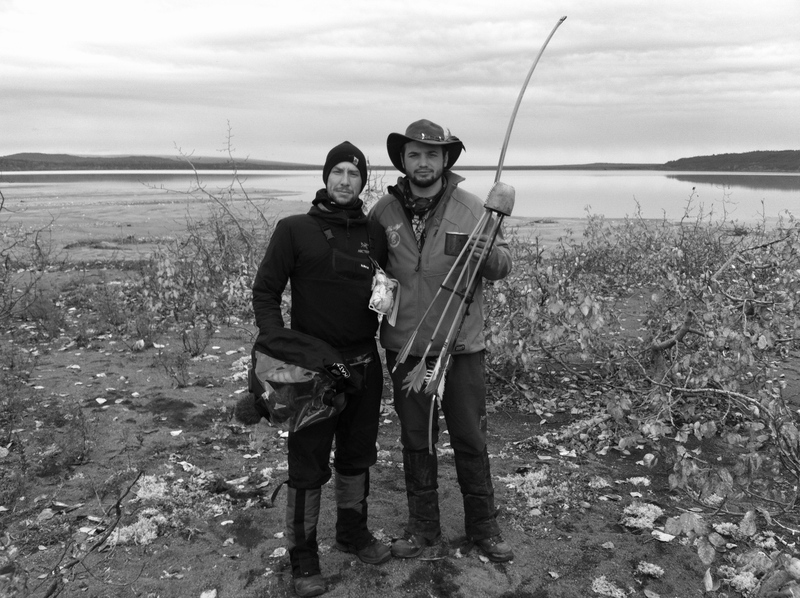 We met two buddies (Omar and Garrick) at Watson Lake and then drove down to Dease Lake where we flew in to a remote lake in northern BC to hunt stones for two weeks. Next morning we all packed up are gear, got are eyes set on big rams and fun adventures. On my back was six days worth of food, optics, tent, sleeping bag and pad, and miscellaneous gear. Johnny and I parted ways to cover more ground. Omar and I went south, Johnny and Garrick North. 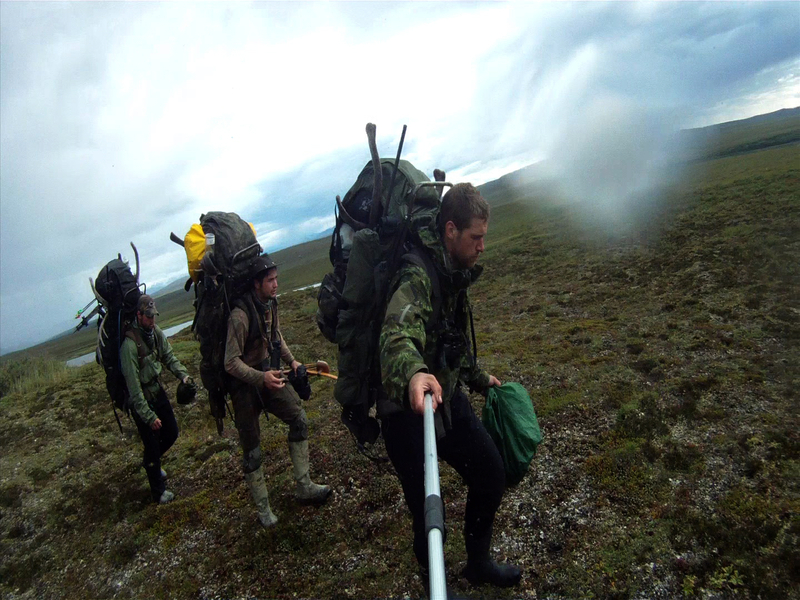 We were carrying satellite phones to keep in touch every other night to relay the day’s adventures. Day 2 rolled around and we had spotted several rams already and lots of ewes. Already 8 miles back from the lake, we continued to push further. The wind from the minute we started was brutal. Didn’t matter which way you faced, it was in your face!!!! and strong!! We found out later, winds were measured at 60mph! 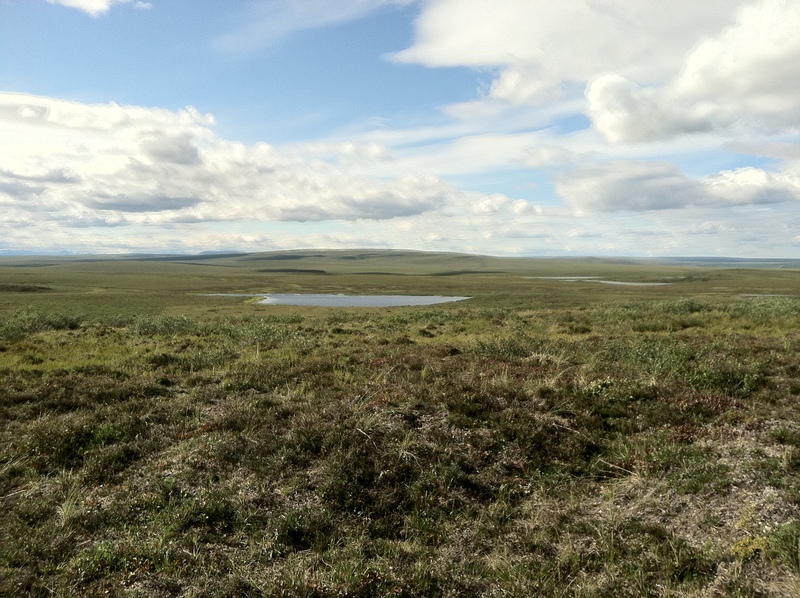 Later into day 2 we summited a high plateau and within minutes of glassing, we spotted two sheep far across the valley. With a closer look a 3rd sheep was spotted and right away I knew he deserved an even closer look. 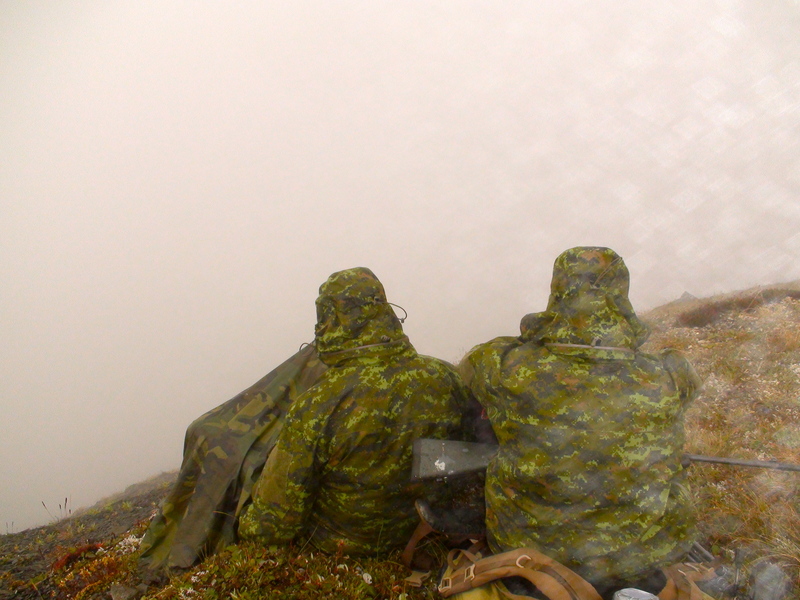 The wind was howling and not making it easy to glass; I was huddled under a cliff just to keep the spotter steady. After I made the decision to get closer , I was off like the wind. Covering meters by the second. I dropped 2500 feet within several minutes and dropped off my whole camp at the bottom by a creek. 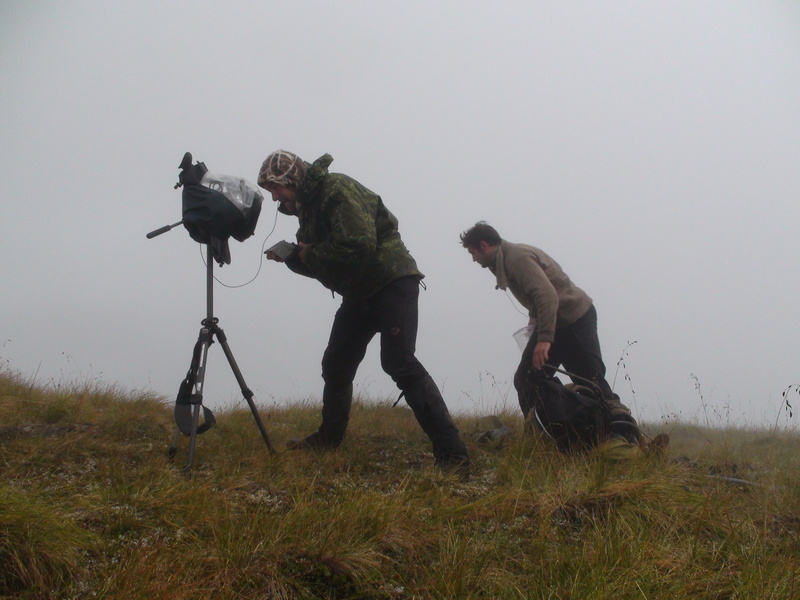 We charged up the mountain with the camera rolling; Omar did one wicked job behind the handycam. A long 2500ft ascent didn’t take long, I had one thing on my mind, and I was determined to get on this ram and nothing was going to stop me. Peaking over the edge in hopes to be above the ram, there he was 300yards away, feeding away happily. 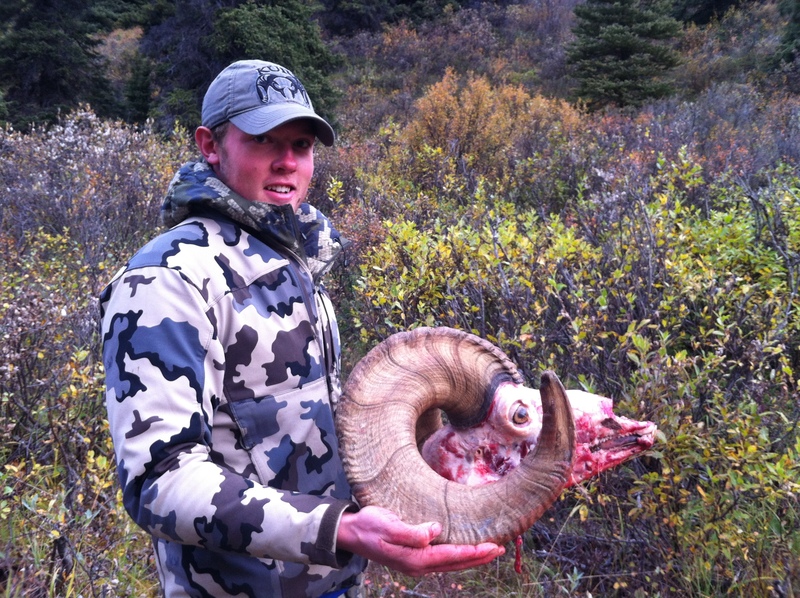 Without a doubt this ram was a shooter. With a perfect steady rest I took my time and waited patiently for about 15 minutes for the shot and when it was presented the rest became history. Ram didn’t go more than 50 yards before expiring and then came the celebration ! 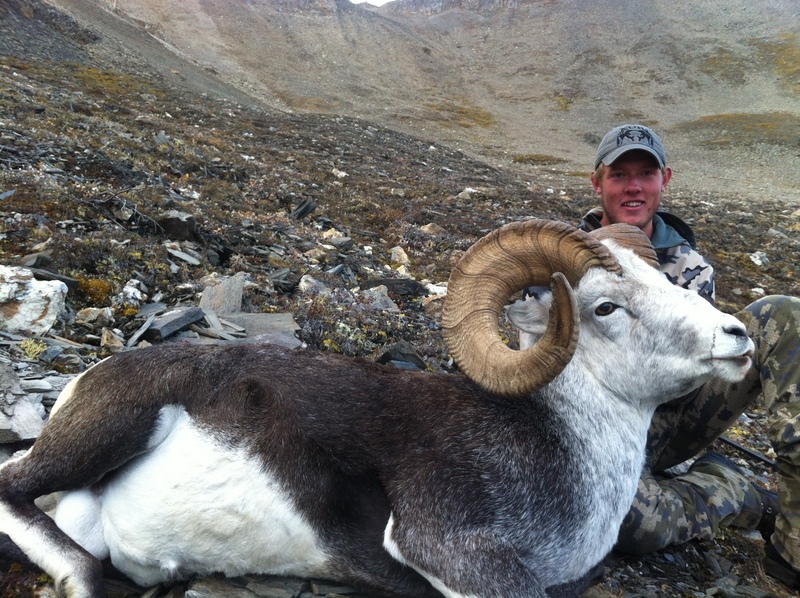 BIG RAM DOWN!! I was like the happiest guy ever. Couldn’t believe it. running up and down the mountain, hands on my head! There may have been a couple cartwheels? without hesitation it was time to go look at what I had just accomplished. Walking over to the ram he continued to grow. A beautiful 11 1/2 yr old ram broomed heavy 38X36.5 with 14 6/8 bases! More than I could have ever dreamt was laying there in my hands. Speechless, and no one could wipe the smile off my face. After video and pictures we skinned and butchered the ram and made are way back to the gear left by the creek. Midnight rolled around and we made er back. Without wiping the smile of my face, we unloaded the sheep and started making camp. Then came eating tenderloins from our days success and then followed several calls out on the sat phone to close friends. Not realizing it was past midnight, I woke my boss, parents and close friends with shouts of excitement. Next day we headed back for the lake. A steep brutal climb up and over several mountains, 11 miles total and after a full day of grinding camp and the ram on my back, we made it !! Heavy load, long day. Yet so rewarding. There’s no better feeling than laying exhausted and looking at your pack with a ram on it. I think we had a little camp celebration and waited to hear from the boys on their outings! I can’t thank the boys I hunted with enough! Johnny, Omar and Garrick, this ram was made possible because of you!! Thank you again! I cant wait for this years outing! 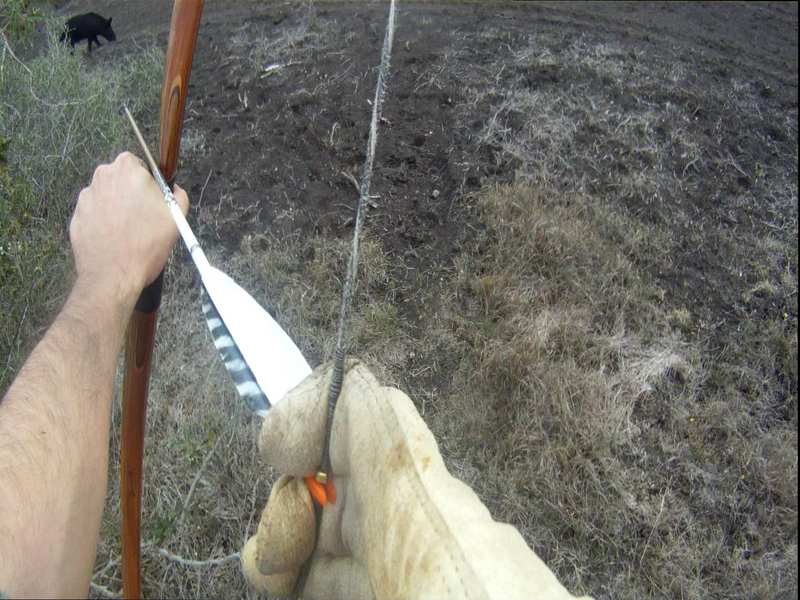 !I hope everyone gets to experience a hunt like this. I was blessed to take such a beautiful ram, but the reason I hunt and live for it, is the experiences made with great friends and Gods beautiful creation.Get out there friends and give it your all!Peace! 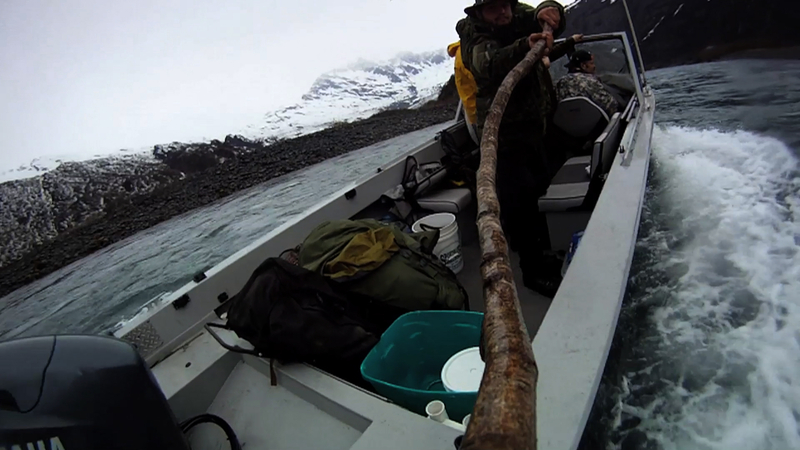 Guess where this shot was taken….Ill give you a hint, it was during the filming of Ultimate Survival Alaska. The picture is of Robert Seamen a shooter/producer and I. Rob is one of the hardest working individuals I have ever met in my life. 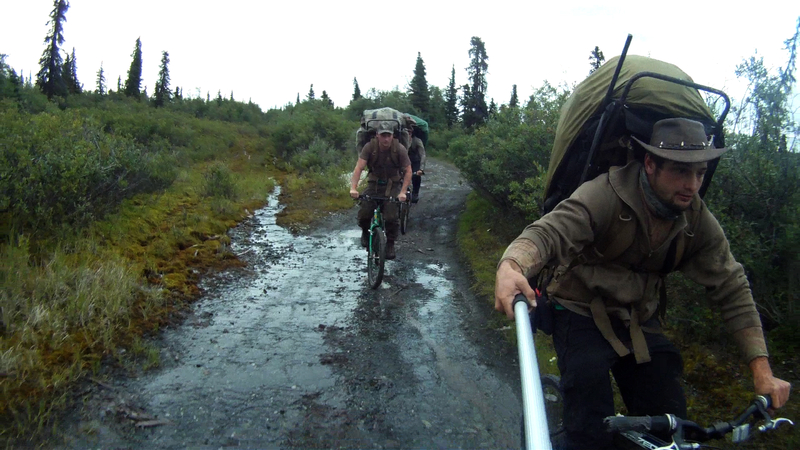 This guy was very talented with his camera to say the least, he managed to keep rolling footage in the wet and inhospitable Alaskan weather.